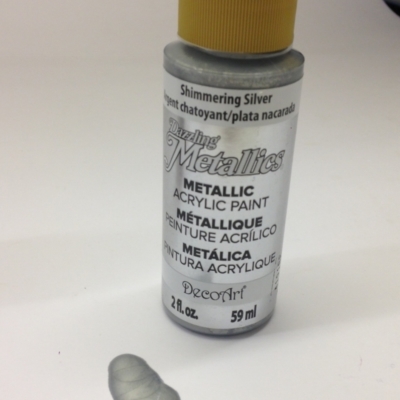 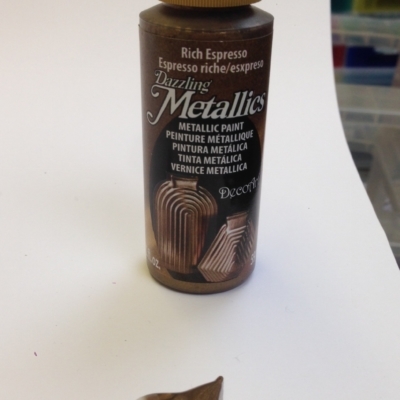 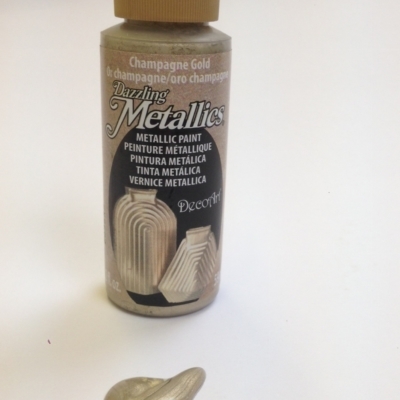 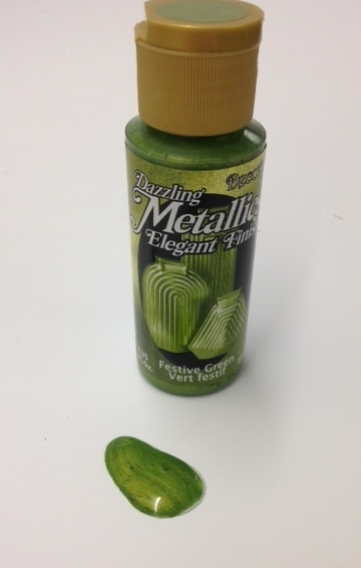 DecoArt Metallic paint. 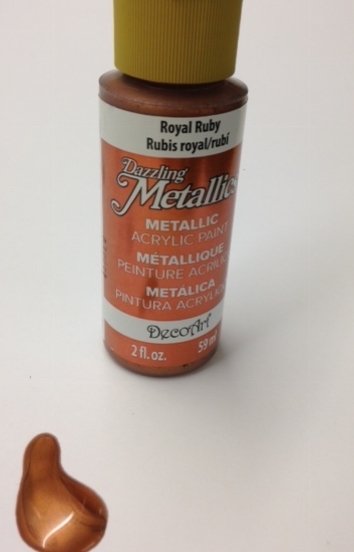 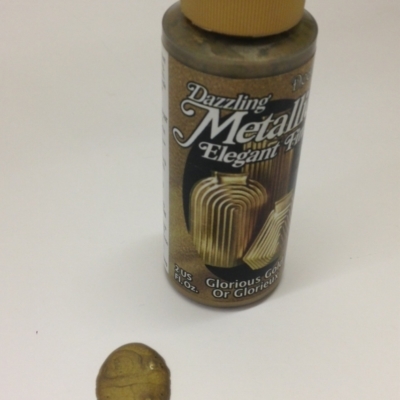 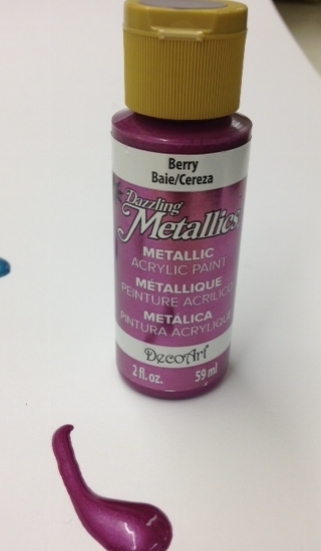 An acrylic paint that is made from finely ground metal flakes. 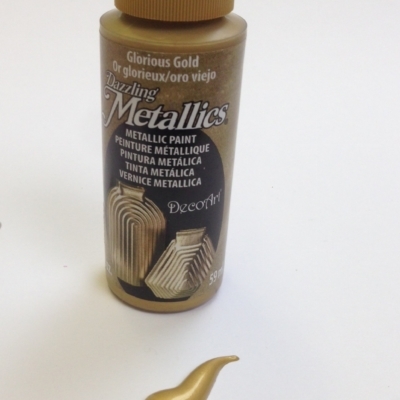 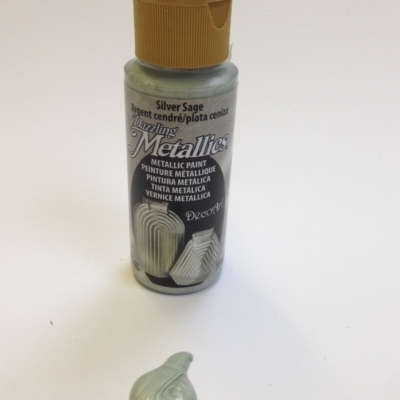 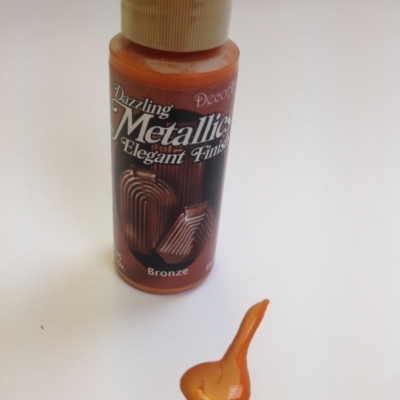 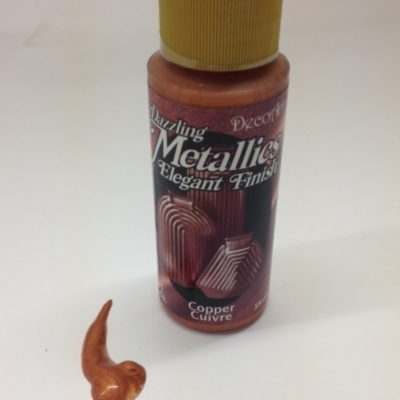 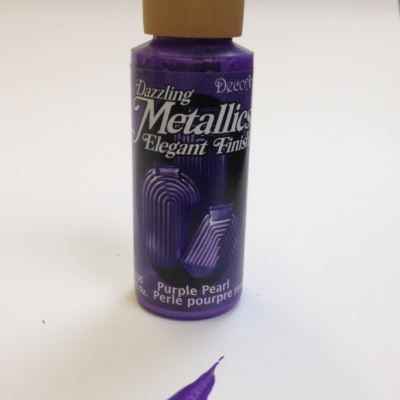 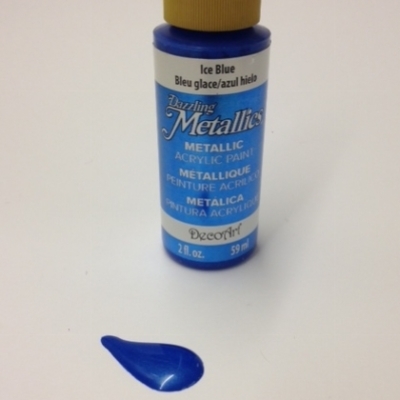 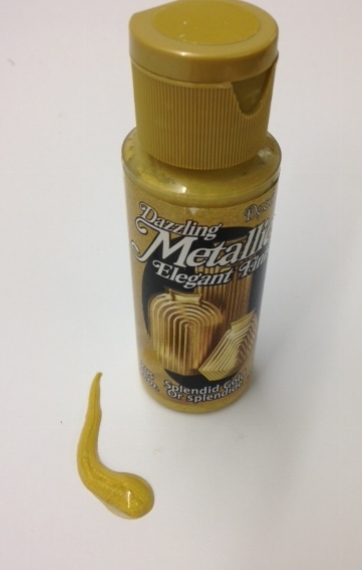 Premium all-purpose metallic acrylic paint. 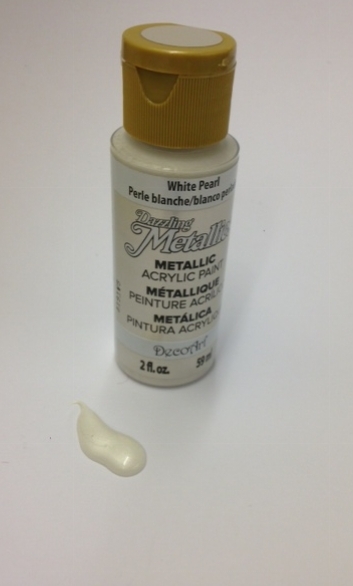 Excellent coverage and a permanent durable finish. 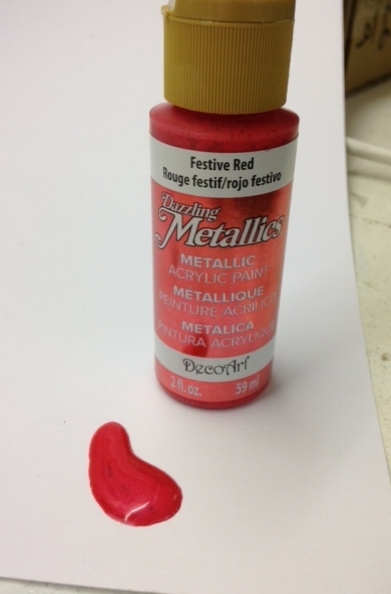 Can be thickened with mediums. 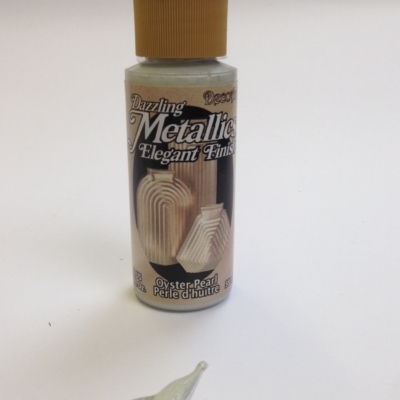 Adheres to most surfaces including canvas wood bisque plaster and masonry. 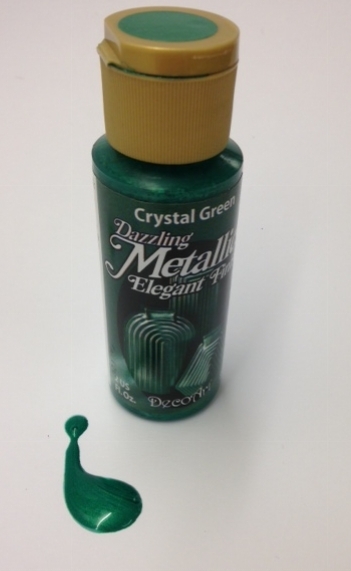 Water based non-toxic.